Real Madrid are set to step-up their push to sign Liverpool striker Luis Suarez with Bernabeu president Florentino Perez determined to lure the Uruguayan to the Spanish capital. CaughtOffside understands that the La Liga giants will not only offer a world record bid of €110m (£89m) for the 27 year old Anfield ace but will also give Brendan Rodgers free choice to add one of three possible Real Madrid players as part of a combined deal for Luis Suarez. Following lengthy talks between Real Madrid boss Carlo Ancelotti and Perez the Champions League holders are keener than ever on bringing in Suarez, who is seen as the ideal central striking option to play as part of a three man attack with wide-men Cristiano Ronaldo and Gareth Bale. Suarez had an outstanding campaign in 2013/14, netting 31 goals and finishing the season as the Premier League’s second highest assist maker. Though the former Ajax man has only recently signed a new lucrative contract, said to be worth £200k a week, Real Madrid still feel that they have the gravitas to tempt the unstoppable forward. Real Madrid are ready to offer Suarez as much as £265k a week to act as a further sweetener and will hope that once an official bid is registered that the Liverpool man then demands to make the move. 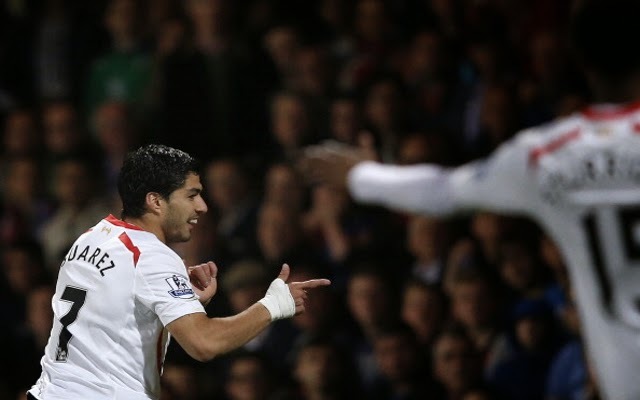 Suarez is said to be happy at Liverpool and clearly having seen his side mount a genuine Premier League title challenge as well as securing a welcome return to the Champions League there is every reason for the goal machine to remain at the Merseyside outfit, however Real Madrid could offer the marksman the chance of immediate success. Having racked up ‘La Decima’, Real Madrid’s tenth European Cup/Champions League triumph, Perez is keen to bring in another Galatico and will look to emulate the club’s capture of Gareth Bale. A move to bring in the Welshman was a long one but despite Tottenham’s initial refusals Real Madrid got their man, as they did with his former White Hart Lane team-mate Luka Modric, and Florentino Perez is confident of repeating the trick this summer. Real Madrid are well aware of Brendan Rodgers’s youthful transfer policy and as such the selection of players who will be made available to the Northern Irishman reflect that attitude to squad building. The Liverpool manager will be offered the chance to bring in either Spanish attacking midfielder Isco or highly rated striker Alvaro Morata. Should neither of these players attract Rodgers then Real Madrid are also ready to make forward Karim Benzema available, though the inclusion of the Frenchman would depend greatly on whether the former Lyon man is amenable to such a switch with both Arsenal and Chelsea said to be tracking the 26 year old.